I’m a Mike Cahill admirer. “Another Earth” blew me away and I couldn’t wait for his follow up…and it did not disappoint. 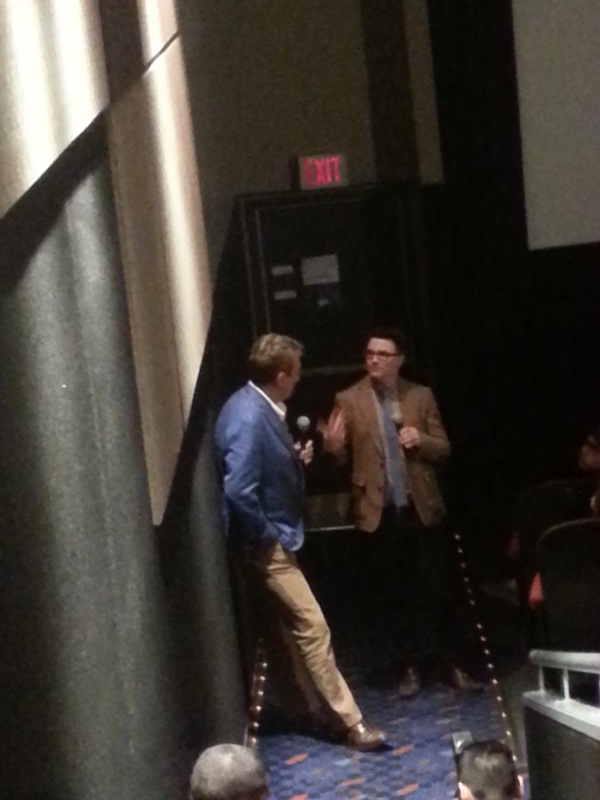 Oh, and having Michael Pitt join Cahill in a post-screening Q and A was the icing on the cake. Michael Shannon, Laura Dern, and Andrew Garfield so close I could literally reach out and touch them…need I say more? 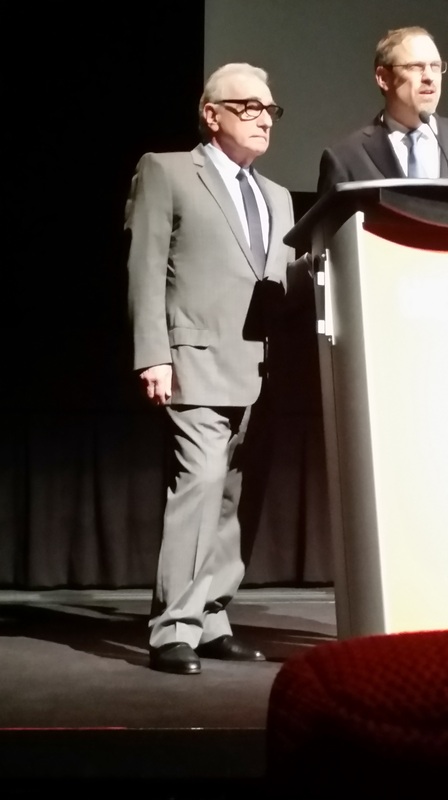 Shannon is one of my all time favourite actors and the chance to hear him speak about his latest film nearly had me in tears of fortune and excitement. If you know me, you know that my fandom in regards to Tom Hardy and “Peaky Blinders” knows no bounds. Naturally, having the chance to catch an advance screening of “Locke,” Hardy’s and “Peaky Blinders” creator Steven Knight’s latest collaboration, left me winded. It’s also the only time my mom has ever stepped into my world, the life of a die-hard cinephile. And the fact that she loved it in its entirety left me overjoyed. 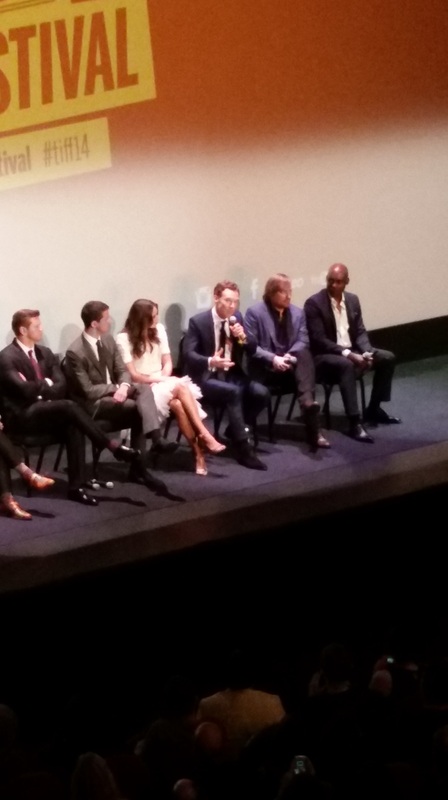 Benedict Cumberbatch…in person…that is all… Oh, and Keira Knighley and Matthew Goode too. 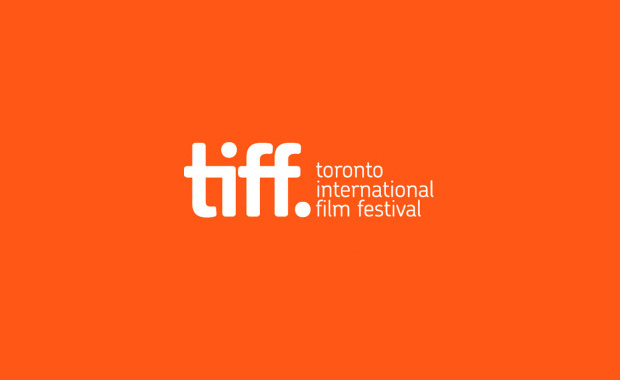 This past year’s screening of “The Guest” during TIFF 2014’s Midnight Madness program was easily the most fun I’d had at a cinema all year. 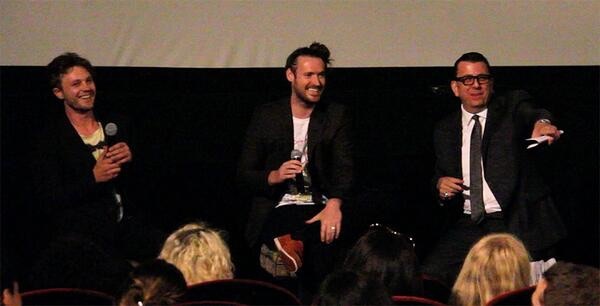 Simon Barrett and Adam Wingard are uproariously funny and extremely talented at what they do. 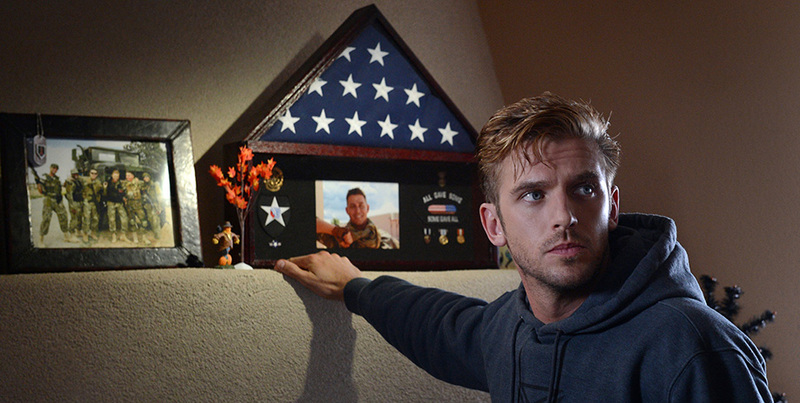 Add in the charismatic, unbelievably charming and handsome Dan Stevens in addition to the lovely Maika Monroe, and you’ve got one hell of a theatre experience. 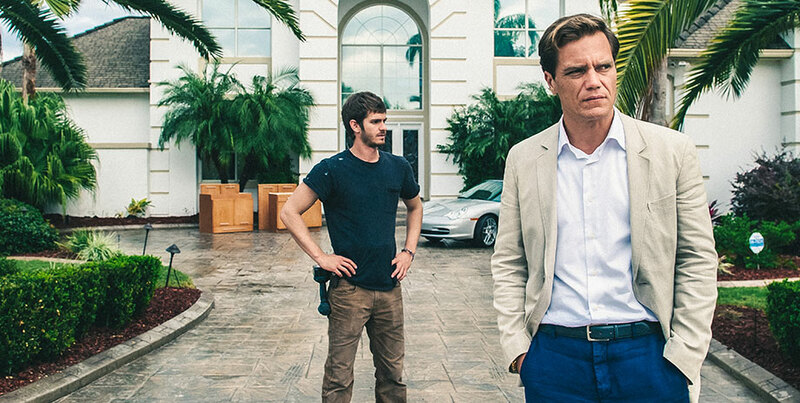 The film itself cracks my top 10 of 2014 with ease and this screening has a lot to do with it. I hate to admit it, but having my lame-o friends undergo the craziness with me made all the difference in the world. Plus, we were the only ones to bring a beach ball! Which only added to the over-the-top atmosphere throughout the entire screening. 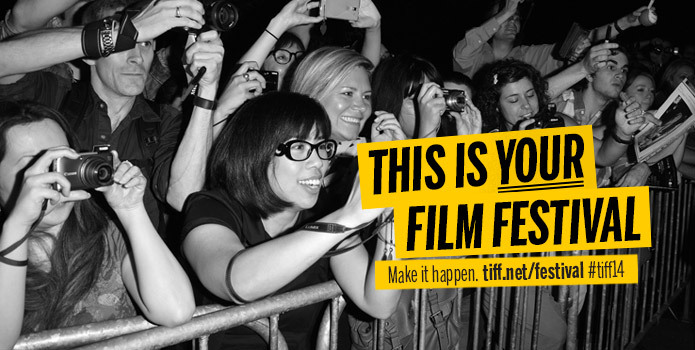 I should probably explain… Midnight Madness is TIFF’s most out of control cinephile experience. There’s loud music beforehand, it starts at midnight, there’s the potent scent of substance abuse lingering in the air, and usually has a ball or two being tossed around. It’s essentially a rock concert that replaces the band with a film. This is, without question, the best experience I’ve ever had in a theatre to date, let alone 2014. Of course, any occasion that has you sitting in the presence of one of cinema’s greatest filmmakers is a monumental occurrence indeed. To be completely honest, the film, “The 50 Year Argument,” although thoroughly engaging and utterly interesting, was simply a welcomed formality, a terrific bonus. 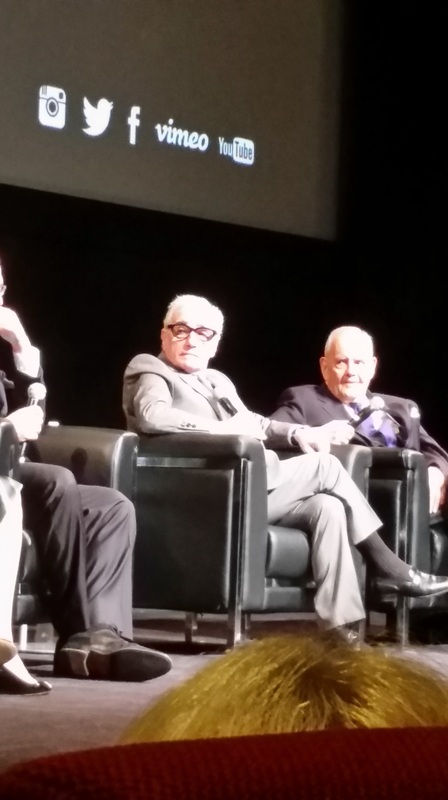 Being granted the opportunity to listen and digest Martin Scorsese discussing film and his career for an extended period of time is unlike any euphoric treat that’s ever graced itself to my presence. Did you have a particularly awesome cinema experience this past year? Let me know in the comment section below, I’m dying to know! Also, if you haven’t contributed your voice to the latest poll, please click on Vote! in the bar above to do so…don’t make me chase you down! 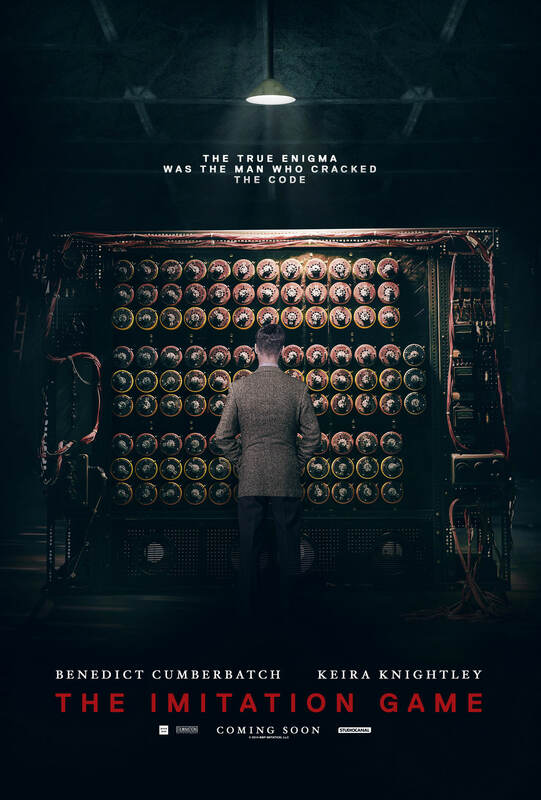 My TIFF 2014 reviews continue to trickle through and today I’ve got something special, one of my most anticipated films of the year, “The Imitation Game.” Starring Benedict Cumberbatch, Keira Knightley, Matthew Goode, Mark Strong, and Rory Kinnear, “The Imitation Game” retells the unbelievable life-story of Alan Turing. Feel free to click on the link below which will redirect you to my review over at The Cinematic Katzenjammer and please drop a like/comment/share. Now, I know what you’re all thinking, “this guy is supremely biased” and you’re not wrong in concluding that. You may choose to skip my review for a more neutral, honest take and I won’t hold any blame against you. But before you do, consider this. The hard truth of it is, if you can’t enjoy this, you’re probably not a fan of Jackson’s LOTR universe to being with and shouldn’t be judging it in the first place…and I never cheat my readers out of the truth and honesty. If the “The Desolation of Smaug” had flopped, believe me, I’d be the first to let you know. Thankfully however, this isn’t the case. It’s a definite improvement in nearly every aspect while also capitalizing on the errors of its predecessor, not that there were many to begin with. And despite having similar themes, Jackson is able to make the content seem fairly new and exciting. He captures a lot of the magic that made his LOTR trilogy so superlative and successful, which is, quite frankly, the most reassuring aspect for the upcoming finale and is all any good-hearted fan could ask for. There’s a lot here that is reminiscent of the LOTR trilogy, but it’ll never be the LOTR, so let’s just get that comparison out of you head right now! If there’s one thing holding back “The Hobbit” trilogy, it’s no fault of its creators, rather, the viewers simply expecting LOTR all over again. That’ll never happen! Honestly, I consider the LOTR trilogy to be cinema’s greatest achievement. I know a lot of you will fight me on that, but that’s just how I feel. Nothing will ever live up to that comparison, so stop holding this series against it. The source material for both series differ greatly, I can’t stress that enough. If you’ve read the series, you’ll know exactly what I’m referring to. “The Hobbit” is directed to younger readers, it’s more cliched, nostalgic, simple. I wouldn’t go as far as to recommend completely cleansing your thoughts of any relation to the LOTR, simply because you’d miss out on a few awesome easter eggs and shout-outs to the original trilogy. That being said, the less you stack up Jackson’s two trilogies, the greater your experience will be. It may end on a bit of a cliff-hanger, which hampers most middle films, but if anything, it only really sets its hooks in deeper. A nagging, stinging, aching anticipation for next year’s finale that is proves useless to try and shake. Nonetheless, let’s stick to what’s available to us now. There’s a lot of new faces presented in this sequel, but of course there’s only one newcomer on everybody’s mind. 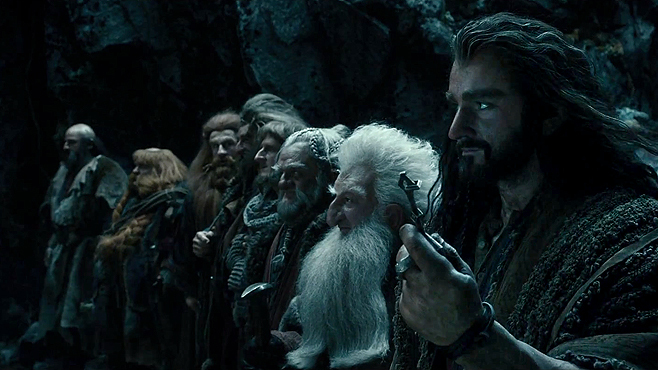 There’s no question that the highlight of “The Desolation of Smaug” is of course, Smaug himself. It’s all any die-hard Tolkien fanatic has been waiting for since the series was first announced. You’ll be waiting till roughly the last forty minutes of the film’s nearly three hour runtime for Smaug to finally appear, but when he does, you’ll find yourself watching one of the greatest cinematic achievements of 2013. 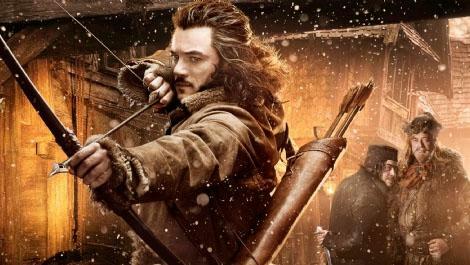 Apart from this greedy fire-breather, Orlando Bloom’s Legolas draws a substantial amount of excitement. Jumping weightless amongst the striking scenery of Middle Earth (provided by the always breathtaking New Zealand which Jackson once again utilizes to full effect) and dismissing countless foes. He might be a little more edgy than you remember, but a thrill to watch nonetheless. Luke Evans’ Bard really was a pleasant surprise. Gritty, emotional, and whole-heartedly invested, Evans truly added another complex, impressive layer to this fantastical spectacle. The final addition, Evangeline Lilly’s Tauriel still reigned supreme, for me at least. Rarely have I ever become smitten with someone so striking who could also beat me to a bloody pulp at the drop of a hat. A quick shout-out to the cast of dwarves who’ve finally been allowed to expand their emotional range. The serious tone really allows them to show off their depth instead of trotting around uttering witty, cliched catchphrases. Smaug is played by the incomparable Benedict Cumberbatch, who, aside from giving voice to this monstrous dragon, also provides the facial expressions and movements, much like that of Andy Serkis’s Gollum. 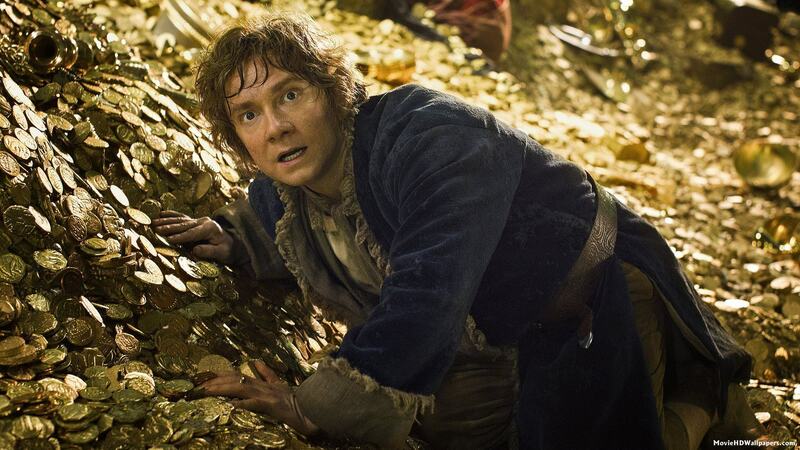 Emerging from a baffling pile of riches, it’s the dark, malicious, egotistical voice that first strikes fear into your gut as Smaug himself dances amongst the shadows. Then, when the big reveal hits, you’ll find yourself struggling to pick your jaw off the sticky cinema floor. 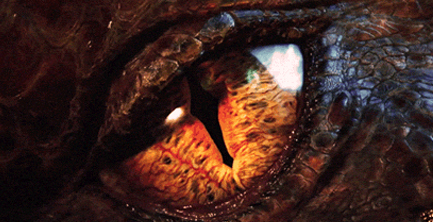 Agile, gargantuan, and devilishly clever, Cumberbatch’s Smaug is, without question, the biggest “wow” moment of the year. As for Martin Freeman, he’s still the only young Bilbo for me. His reluctant courage and comical movements are inspiring and hilarious. You’d be hard pressed to find someone who could successfully deliver just one of those facets. Sadly, Gandalf takes a bit of a back seat on this one, but it’s Ian McKellan, it’s the role he was born to play. So those brief moments he’s present are just as rewarding and nostalgic. 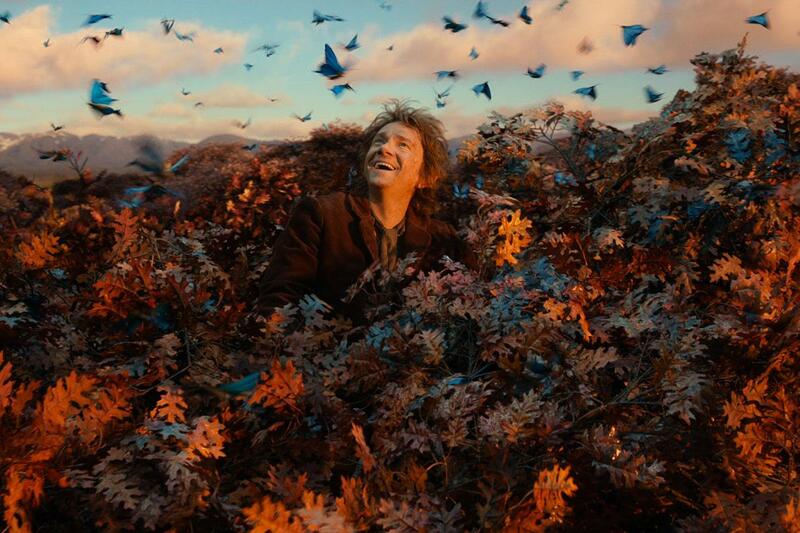 “The Hobbit: The Desolation of Smaug” is another magnificent entry into Peter Jackson’s Middle Earth. The visuals are as superlative as ever. Whether it’s Smaug, the bewildering, gloomy Mirkwood and Laketown, or panoramic shots of Middle Earth, Jackson never seems to lose his form. The progression of the story isn’t a strain to endure and keeps the viewer glued with heart-racing action and genuine emotion. The dialogue doesn’t feel so contrived and each character is given more than enough importance to thrive. It still doesn’t rank with the best the LOTR trilogy has to offer, but it isn’t a steep decline either. “The Hobbit: The Desolation of Smaug” will undoubtedly stand the test of time and is a terrific set-up for next year’s big finale. The Hobbit: The Desolation of Smaug: 9 out of 10. I don’t normally watch short films unless they’re referred to me or nominated in that specific category at the Oscars…and even then it’s just to stay calibrated with the goings on in the film industry. It’s not that I find them to be a lesser form of filmmaking or anything like that, far from it. Simply put, they don’t interest me or catch my attention is what I guess I’m trying to say. Off the top of my head I couldn’t name you more than a handful of vignettes, let alone those that I rather enjoyed, and to be honest a lot of those that I do recall are made by Pixar. On the other hand, I do like to dip into the occasional anthology, but I don’t think they’re considered the same thing. I can’t grasp the concept of them. I feel it’s too much like jumping into a story at the climax. To their credit though, as the evolution of the short continues to progress, they tend to contain more and more effort into establishing a thorough, relative perspective. I don’t know, am I missing something? Please comment below with your thoughts and some references if you’ve got. Now, enough of my blabbering, onto the review. 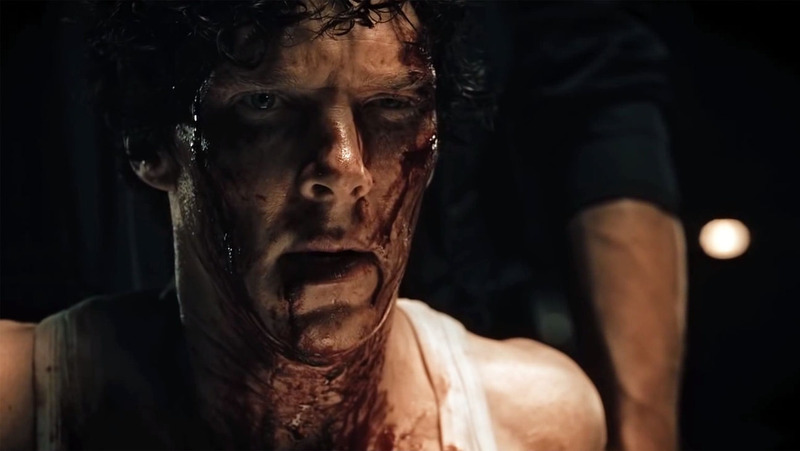 Not to be brash, but the only reason I watched “Little Favour” was for the same reason I think anyone will, Benedict Cumberbatch. Everything that man touches, I must witness. I’ve been an obsessor of his for a good long while now, as I’m sure many of you will attest to. And as I do with anything I post containing Cumberbatch, I implore you to watch his earlier work, specifically “Stuart: A Life Backwards” and “Hawking,” but I digress. 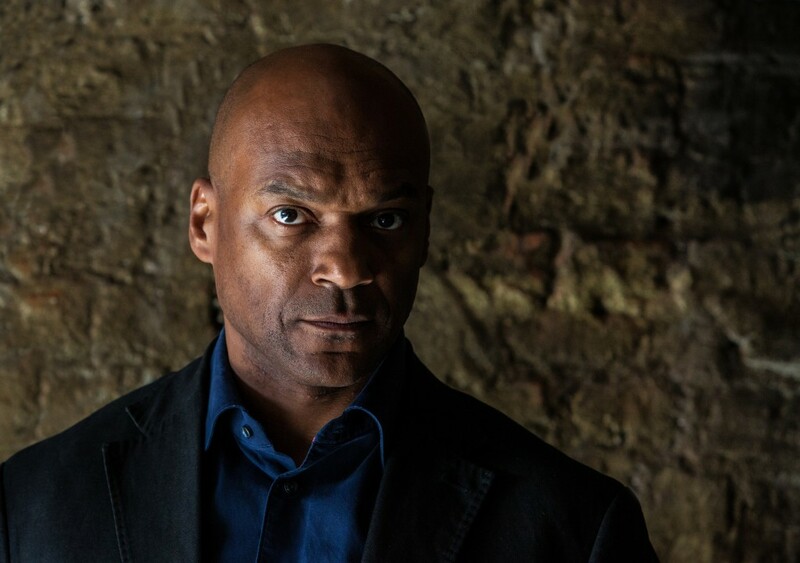 “Little Favour” directed by Patrick Viktor Monroe, begins with Wallace (Cumberbatch), a war veteran dealing with PTSD attending a meeting with an old friend, James (Colin Salmon), whom Wallace owes a great deal of debt .Upon agreeing to babysit James’ little girl as a little favour, Wallace returns home with his new found responsibility and is viciously attacked and subjected to questioning by a group of thugs searching for James. The premise really is quite something, extremely intriguing. Nevertheless, I found it too short to absorb fully, I just couldn’t get into it like I would have preferred to. 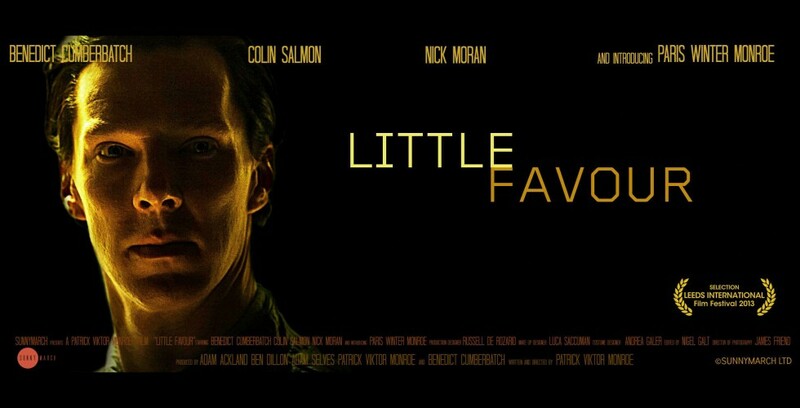 To its credit though, for its length, “Little Favour” did manage to grab me significantly, more than any previous short film anyway. Now, I don’t know if I’ve been spoiled by such rich, powerful performances recently, but I couldn’t help but want more from the ensemble. Or it could be that alongside Cumberbatch, it’s simply impossible to measure up. Salmon really is terrific, the shining star apart from Benedict himself. Other than that however, the performances left a lot to the imagination. What surprised me the most was Monroe’s camerawork, just superb. Hopefully in the near future he can helm a full-length feature, cause I’d really like to see what he can do. I’m sure it’ll happen because this little short will definitely spike his popularity. It never fails to astound me how Cumberbatch, one of the busiest, most sought-after actors working in the industry currently, continues to churn out gem upon gem without faltering. Then it hit me, when you’re this talented and love what you do as much as he does, is it work? I mean, I know it takes a strenuous effort to do what he does, it just appears impossible that he can steadily reach such a height without stumbling. But I guess that’s why he is who he is. While Cumberbatch’s performance here doesn’t measure up to his illustrious standards, it’s still fairly entrancing. I’ve come to the conclusion that his portrayal here is hampered by the film’s length and premise. It doesn’t hit him or orbit him as it should. He gives it his all, it’s just too small a sample size to deduce any effect, so not to any extent is this his fault. For its entirety, the performance of Cumberbatch is still very poignant, and considering how compacted the story is, the output of Cumberbatch is all the more potent. 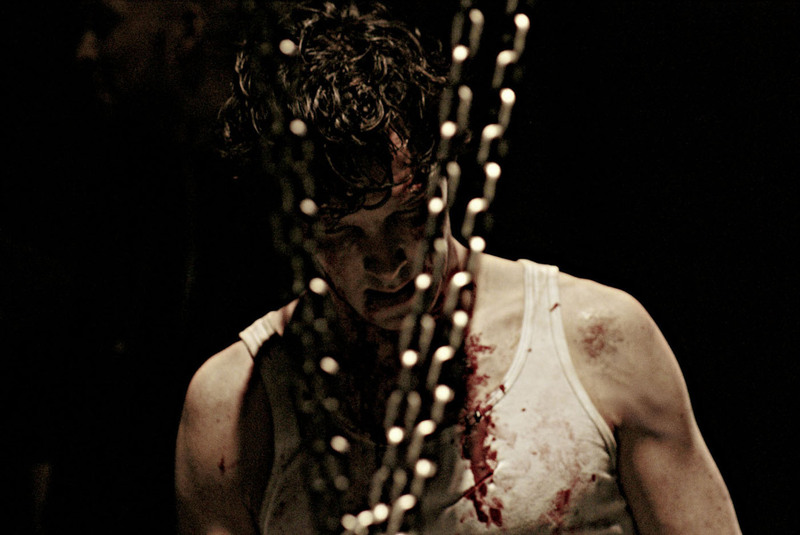 Little Favour: 8 out of 10. 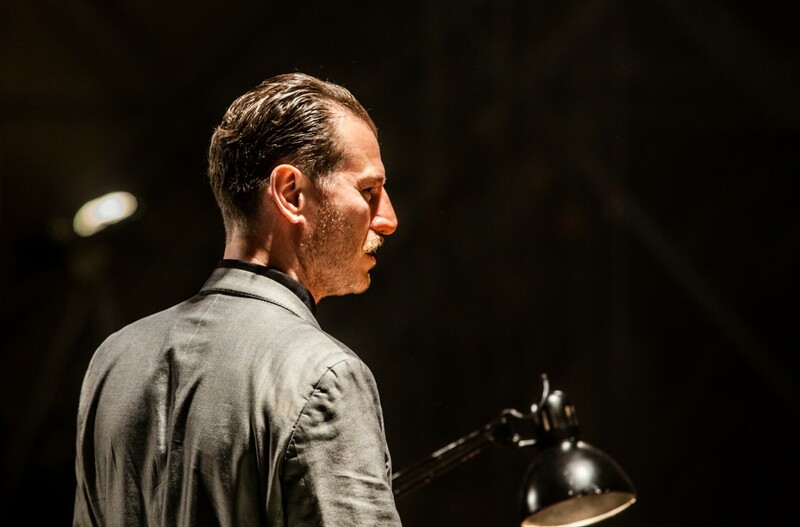 If one is to appreciate anything about this adaptation of Tracey Letts Pulitzer Prize winning play, the immensely staggering performances carried out by the entire ensemble would be a great place to start. Thankfully however, this gloomy comedic-drama directed by John Wells has decidedly more to offer than the undeniable talents of its star-studded cast. 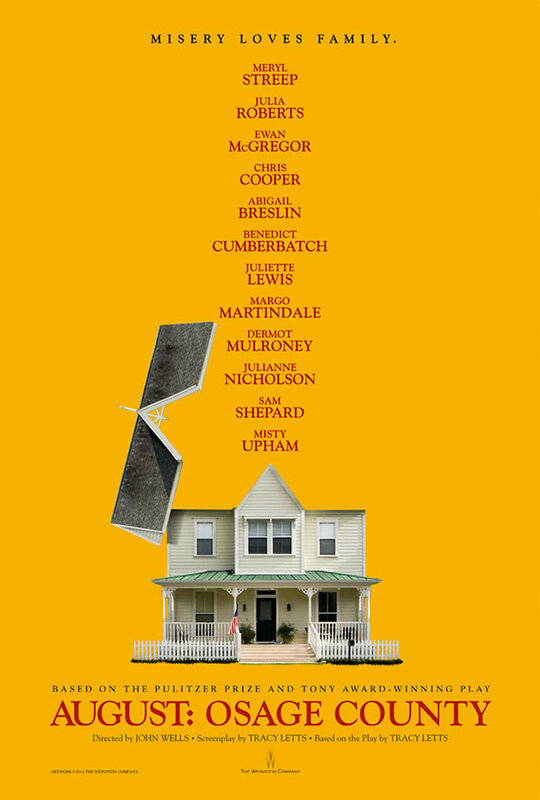 Much like its source material, this take of “August: Osage County” is teeming with family turmoil, sly humour, and plenty of heart. That being said, this cinematic adaption isn’t without its own, personal charms. Besides, there’s something you get with film that just blows live theatre out of the water. Say, for example, the stunning, not to mention real, panoramic scenery displayed, or the intended demeanour of a well-thought-out, perfectly captured shot…but that’s just my opinion. Nonetheless, Wells’ “August: Osage County” pays great reverence to its source while effectively differentiating itself from it. In Oklahoma, in August, Beverly (Shepard), a poet with a drinking problem, lives with his wife Violet (Streep), who suffers from oral cancer and is addicted to prescription drugs. They have three daughters, Barbara (Roberts), Karen (Juliette), and Ivy (Nicholson). Soon after hiring help to assist with the care of Violet, Beverly disappears. This brings the entire family, their significant others, and close relatives to the house. What ensues when this group is brought together is a chaotic melee, and none are exempt. 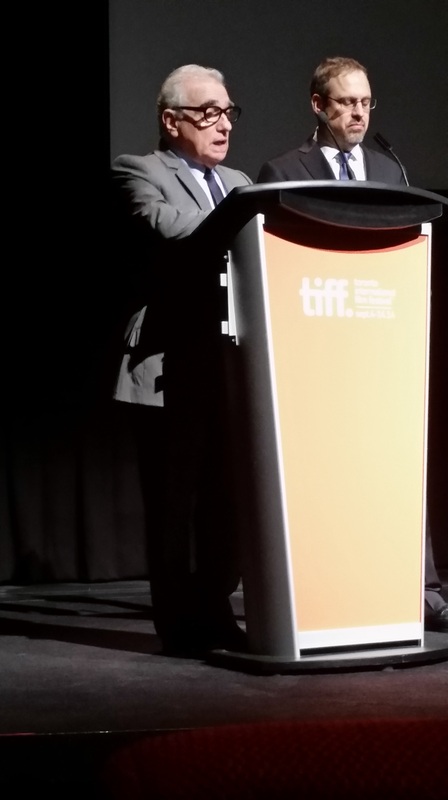 Wells faithful adaptation of “August: Osage County” officially launched its Oscar campaign this year at TIFF. And for the most part it was received with praise from its audiences. Granted, the tale’s natural combination of halfhearted self-loathing and perplexing family drama will come off as attention clamouring, even pathetic to some. Especially when the reward isn’t as grand or alluring. Ultimately, those not familiar with the play or those not affected by such issues will feel alienated. Therefore, the film won’t earn many new followers, but that was to be expected. What the film lacks in luring capability via story, reaction, and structure, it more than makes up for with a high-profile cast. And if the cast and their performances don’t drag you in, the tranquil, wondrous landscape alongside a hauntingly atmospheric score is sure to do the trick. However, all of “August: Osage County’s” endearing, upsetting, enthralling attributes aren’t enough to trump the immaculacy of the ensembles performances. In a sense, “August: Osage County” is exactly what I’d expected and nothing more: darkly hilarious, melancholic, and impeccably performed. However in the same breath, sadly and ironically, my realized expectations still provided a bit of a letdown. Considering that when you’re collaborating a collection of illustrious, Oscar caliber actors, a director who certainly is no stranger to creating and capturing obscure family drama (Wells is the writer and director of possibly my favourite television program “Shameless”), and a story that’s highly relatable and has been proven to be a winner time and time again. The end result should be nothing short of scintillating. 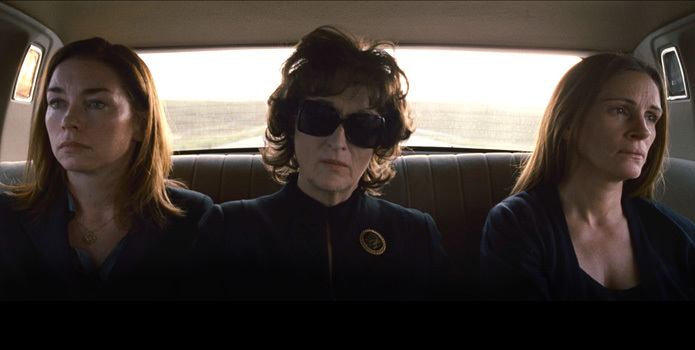 And although it surely shines blindingly on occasion, “August: Osage County” is more of a pulsating brightness. But do keep in mind that my preconceived notions about this film were still pretty steep. So even though it doesn’t knock you of your feet, it’ll definitely leave you teetering and stumbling around. 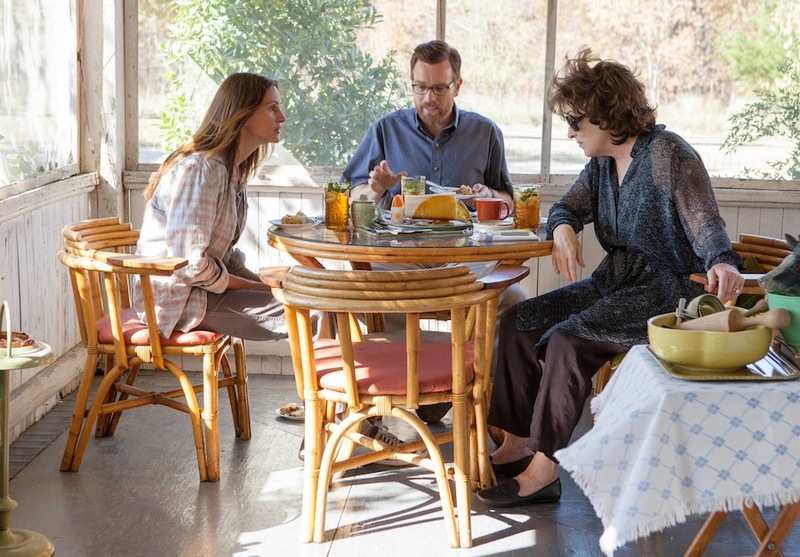 As eye-catching and captivating as “August: Osage County” is to all the cinematic senses. The cast and their performances is the film’s only true, unarguable strongpoint. Starring Meryl Streep, Julia Roberts, Ewan McGregor, Chris Cooper, Benedict Cumberbatch, Sam Shepard, Dermot Mulroney, Juliette Lewis, Abigail Breslin, and Julianne Nicholson. Wells’ A-list crowd definitely has the chops to tackle this emotional vast and mentally straining adventure. Ewan McGregor perfectly encapsulates the subtle strength of his character and intentionally falls to the backdrop. Dermot Mulroney does much of the same, except his portrayal deals a lot with frustrating and seducing the audience. Still, he can’t help but disappear alongside these acting heavyweights. Breslin is her usual quiet self. I don’t think I’ve seen a performance of her’s in which she utters more than 50 words. That being said, she does a great job absorbing the inward-dwelling habits of her character. Without question, Julia Roberts and Meryl Streep steal the show. Although I have to admit that I’m not the biggest fan of Meryl Streep’s track record, for the majority at least. I don’t deny her talent and I feel she deserves the recognition she’s garnered thus far in her career, for the most part. In all honesty however, her performance in “August Osage County” is only the second time I’ve been blown away by one of her portrayals, the first being her performance in “Adaptation”. Somehow, Streep completely dissolves into her character, both mentally and physically. She pulls off the accent, appearance, cold-blooded personality, and inevitable vulnerability incredibly. As for Roberts, she valiantly struts alongside Streep’s masterful performance with confidence and control. She might not disappear into the role as physically well as Streep does, but she does offer up more of a visceral performance. She portrays a stoic, ticking time-bomb astoundingly. 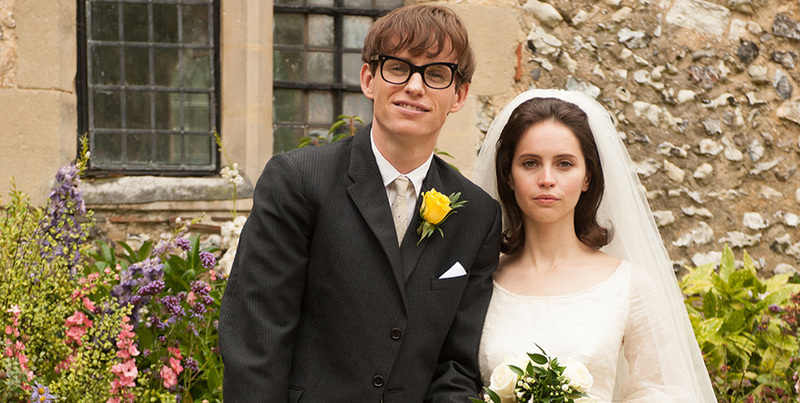 I have high expectations that both will earn an Oscar nomination come award season. The very moment “August: Osage County” begins, you’re hit with the raspy, calming voice of Sam Shepard. Being the fictional husband to Streep’s character is no easy task, but Shepard does a phenomenal job exuding the patience, understanding, and heart. Benedict Cumberbatch, despite being sparsely used, amazingly bursts with such love, earnestness, and truth. 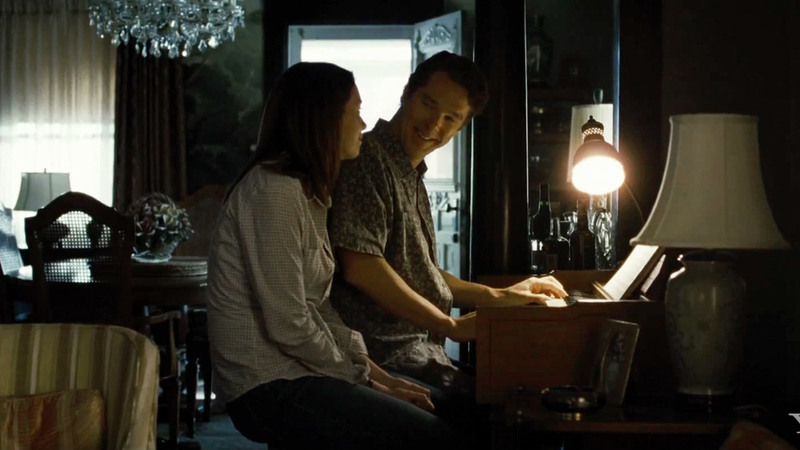 The scene in which Cumberbatch’s character plays an original composition on a small, run-down keyboard to Julianne Nicholson’s character is heart-achingly effective and undeniably enchanting. Speaking of Nicholson, she does a fantastic job with Juliette Lewis and the aforementioned Julia Roberts completing this trio of sisters who have to deal with their mean-spirited, yet oddly nurturing mother. 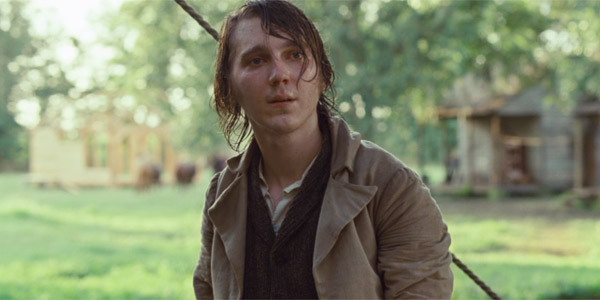 Chris Cooper continues to astound me with his kind, compassionate performance here. I found myself wishing he was my biological Father again and again. Disheartening, elemental, and decidedly truthful. 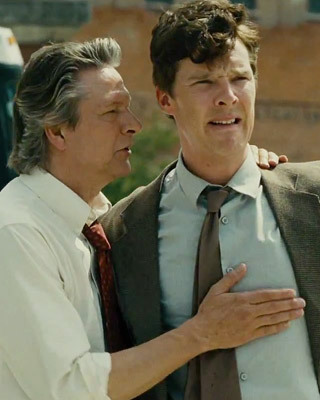 “August: Osage County” is directed with a firm, honest hand and performed with the utmost talent and accuracy. If anything, the cast alone is worth the price of admission. August: Osage County: 8.5 out of 10. Illuminated by the dazzling and substantially detailed imagery typically associated with up-and-coming director Steve McQueen, in addition to a slew of electrifying, immensely powerful performances. 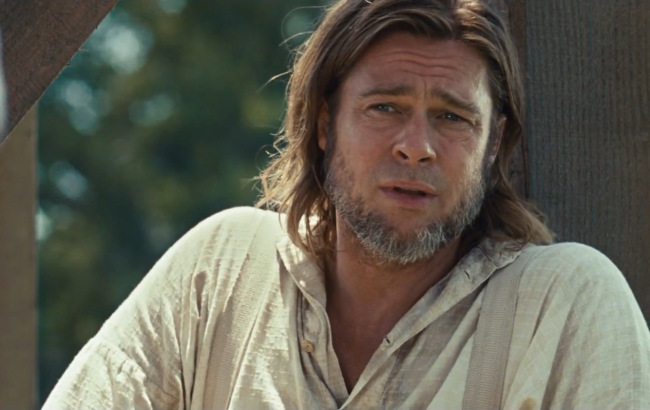 “12 Years a Slave” is ironically every bit as watchable as it is difficult to witness. Anchored by a true story so harrowing and unbelievable that it’s hard to acknowledge the source material as fact. It is a tale surrounding abduction, inhumanity, and slavery, and is without question not for the squeamish or faint-hearted. That being said, its content, although delicate, is extremely important and should be absorbed and remembered by all those with a shred of compassion. 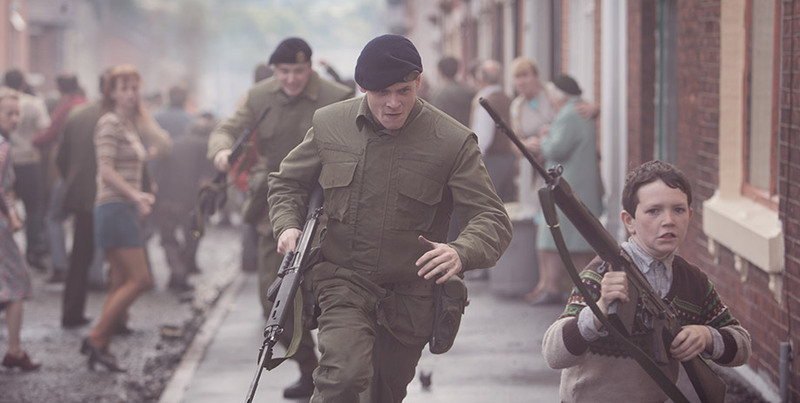 Very rarely does a film triumph not only as a motion picture, but as a piece of history come alive. “12 Years a Slave” is a prime example of this achievement. Of course, we’d all like to forget what is easily one of our species shadiest, most ignorant times. Which can be grounds for the reason why there are so little films of any real substance regarding this subject. It’s a shame considering how vital the mistakes we make are to our insight and progression. Thankfully, the director of “12 Years a Slave” Steve McQueen has provided a veritable, unflinching look at what is perhaps humankind’s greatest error. It may not be easy to watch or sit well with those of us who don’t like to be reminded of our weaknesses. To see what we are all capable of when we lose our humanity isn’t pretty after all. However, it is impossible for light to exist without darkness and vice versa. McQueen comprehends this truth fully and displays both valiantly. These opposites might not be balanced throughout, but when faced with the choice, we will always search out the bright spots, no matter how arduous the journey. Positive will always trump negative, no matter how heavily outmatched or discouraged. 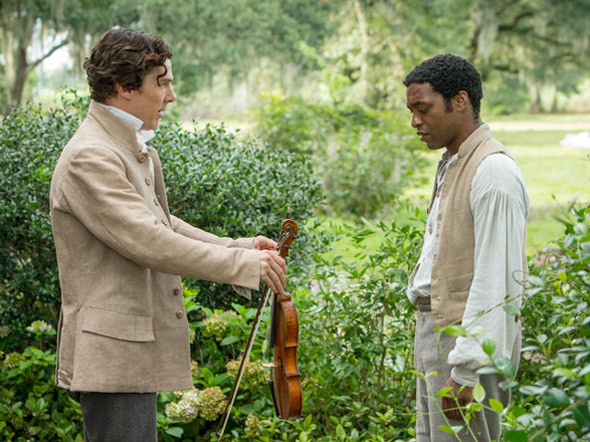 Solomon Northup (Ejiofor) is a free black man living with his family in upstate New York. A skilled carpenter and excellent fiddler, Solomon is approached by two men hoping to lure him into accepting a job offer in Washington DC. Upon agreeing and travelling to Washington with the two men. Northup performs as instructed and is paid for his work. One night while out celebrating with his newly found friends, Northup is drugged. Waking up the following day, he slowly comes to the realization that he has been kidnapped and sold into slavery. Transported on a ship to New Orleans, Solomon has no idea how long he will remain captive, or when or if he will ever see his family again. For a majority of the cinema going public, director Steve McQueen has seemingly rose to these dizzying heights out of no where. But for those of us who have been with the immensely talented director since his inception in 2008 with “Hunger,” his skyrocket to stardom is no surprise. McQueen looks poised to finally garner an Oscar nomination with “12 Years a Slave,” although his previous outings such as the aforementioned “Hunger” and more recently “Shame” are equally as impressive. One thing McQueen has consistently made apparent throughout his first two full-length features is that his ability to handle uncomfortable material knows no bounds. And with “12 Years a Slave,” McQueen not only maintains his stance, but asserts it with an exclamation point. There was no shortage of questionable, unsettling, hazardous, or even controversial topics for McQueen to tackle while adapting Solomon Northup’s memoir, whether it be violence, racism, slavery, sexual abuse, and so on. With this dramatized biopic, McQueen certainly didn’t cut corners or leave any distressing issues out. He’s managed to put together a disturbing, upsetting, cringe-worthy, endearing epic without compromising the integrity or authenticity of its source material. Although I have to admit, the uplifting moments are undeniably bittersweet. As impressive and truthful as the adaptation is, thematically and structurally. The film’s technological facets and cinematic aspects are equally astounding. In my opinion, McQueen’s work behind the camera has never been this seamless. 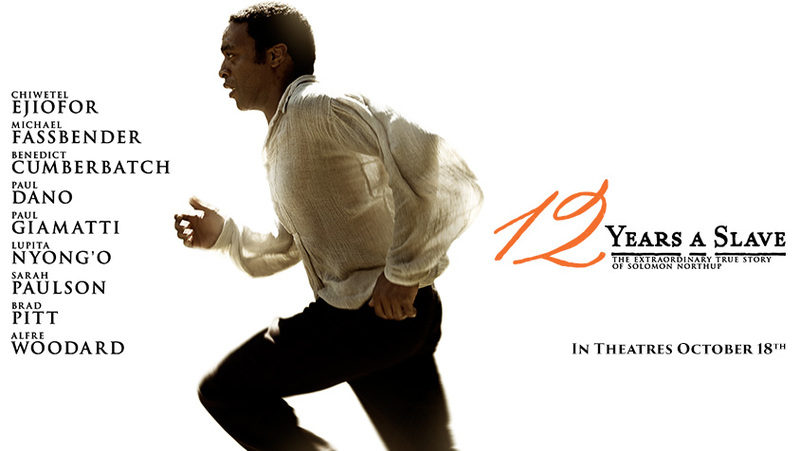 The division and pacing of “12 Years a Slave” is remarkably complex and he works it flawlessly. There’s one scene where essentially what McQueen is filming is utter stillness, say for a few minor movements and the vividness he evokes is breathtaking. The colour scheme, panoramic shots, and detailed violence is so faithful and captivating, it practically leaps forth from the screen. I also want to mention the incredible score composed by the masterful Hans Zimmer who continues to churn out masterpieces. If there’s anything in the film that takes the harsh edge off, it’s Zimmer’s atmospheric, enthralling soundtrack. 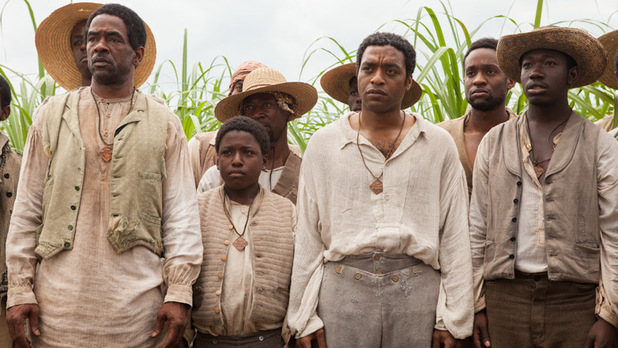 Now, aside from the lead role of Solomon Northup, portrayed by Chiwetel Ejiofor, “12 Years a Slave” is very much the beneficiary of a superlative group effort. The film oozes with outstanding performances from its entire ensemble. 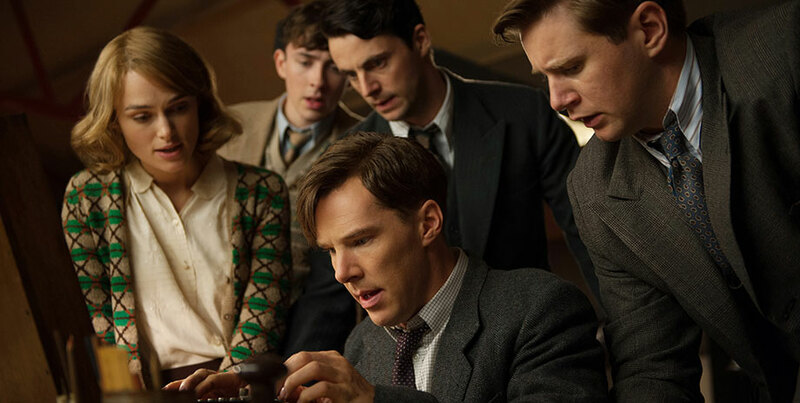 Which, in addition to Ejiofor features Benedict Cumberbatch, Michael Fassbender, Sarah Paulson, Paul Giamatti, Scoot McNairy, Taram Killam, Brad Pitt, Paul Dano, and Lupita Nyong’o. And luckily for those who can’t stomach the violence, inhumanity, or the film’s content as a whole. 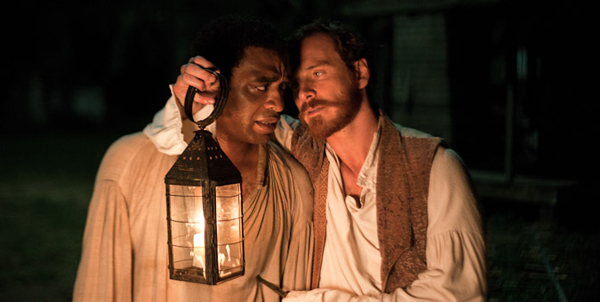 The performances throughout “12 Years a Slave” are alone worth the price of admission. Without any doubt, Chiwetel Ejiofor shines brightest. He completely astounds with an enthralling, mesmerizing, heartbreaking performance full of emotion and a thirst for life. I would be completely flabbergasted if Ejiofor does not at least earn an Oscar Nomination for best actor with his performance here. That being said, he certainly isn’t the only actor in “12 Years a Slave” who appears to have punched their ticket to the Academy Awards. I feel that Michael Fassbender and Lupita Nyong’o are sure-shots to be nominated in the supporting actor categories. Both are just amazing, pure scene-stealers. Benedict Cumeberbatch, although remarkable when on screen, is a long-shot to earn a nomination for “12 Years a Slave,” especially considering all the other incredible performances his given so far this year. Finally, the other members of this immaculate supporting cast, Pitt, Paulson, McNairy. 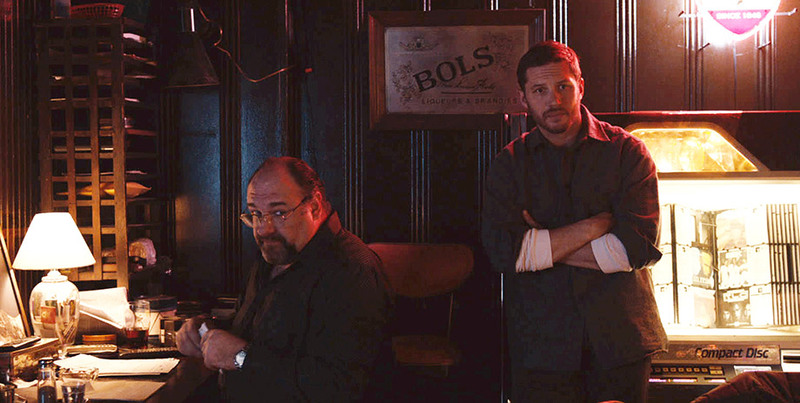 Killam, Dano, and Giamatti deserve a great amount of recognition. When a film has Oscar written all over it, much like Steve McQueen’s “12 Years a Slave” does, it’s usually for good reason. Trust me, this is one of the best of the year and is a must see, cinephile or not. 12 Years a Slave: 9.5 out of 10. Although it deserved stronger direction and a more structurally sound script. “The Fifth Estate” is lifted above mediocrity thanks to sublime performances from its entire cast and truly captivating, at times unsettling source material. This Bill Condon thriller, despite all the hype and speculation, has fizzled amongst the high-profile Oscar contenders at this years TIFF. Which really shouldn’t come as a surprise when you consider the plethora of high-quality films in the race this year. That being said, it is this very unfortunate circumstance that puts “The Fifth Estate” on the receiving end of some seriously negative and potentially irrefutably damaging, undeserved cynical criticism. Thankfully, the essence of film is to forge an opinion of one’s own. Mine is here to tell you not to believe in the bad-mouthing and reputation smashing being directed at “The Fifth Estate.” While definitely not a sure-shot when it comes to award season, it certainly isn’t as abhorrent as critics are making it seem. 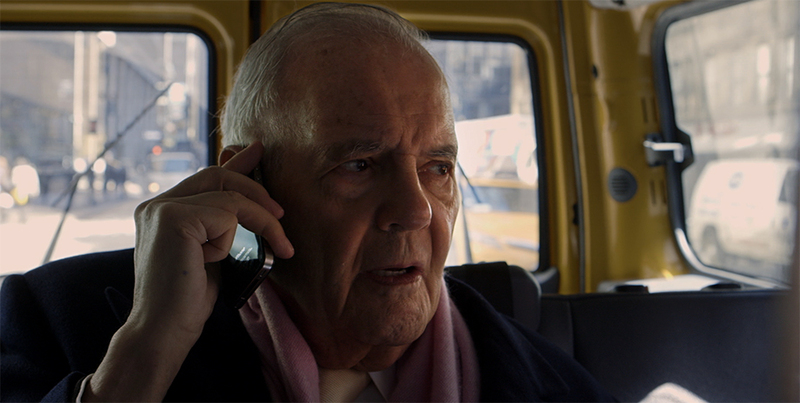 To expand, it’s extremely difficult to go into a screening without any preconceived notions. And as hard as you may try to weed out bias and judgement, whether it be positive or negative, inevitably some influence will sink in. 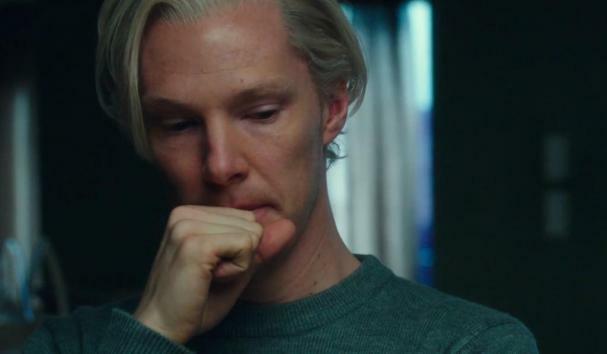 This undeniable logic swirled around my mind throughout “The Fifth Estate” as I tussled with my masculine infatuation and deep admiration for the film’s star Benedict Cumberbatch. I tried, valiantly I might add, to focus on the film and details surrounding him and to distance myself from the other interpretations of the film. While I was able to fight off the majority of my weakness, Cumberbatch’s seemingly immaculate prowess and pure devotion, amongst the film’s other infaliable qualities were just too alluring and impressive to ignore. That being said, I succeeded in forging my own opinion. The film isn’t without faults, and it just so happens that Cumberbatch is arguably the only Oscar contender to emerge from this specific film, slim chances for the outstanding Daniel Bruhl. However, we don’t simply condemn films that don’t garner nominations, so by no means avoid this flick. For those who don’t know. 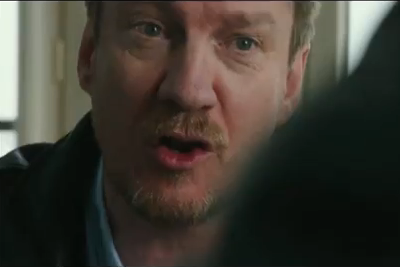 “The Fifth Estate” is the story of how the news-leaking website Wikileaks came to existence. Created by Julian Assange (Cumberbatch) with the help of Daniel Domsheit-Berg (Bruhl). There are more than a few bright spots throughout the film that don’t revolve around the performances, just to insure my words don’t mislead you. Director Bill Condon occasionally spurts the innovation and brilliance that solidified his high status and previous flicks like “Gods and Monsters,” managing to sporadically encompass the sheer immensity of the film and find the core of its true story. However, Condon consistently struggles to make the transitional aspect of his vision smooth, resulting in a bumpy, divided entity. 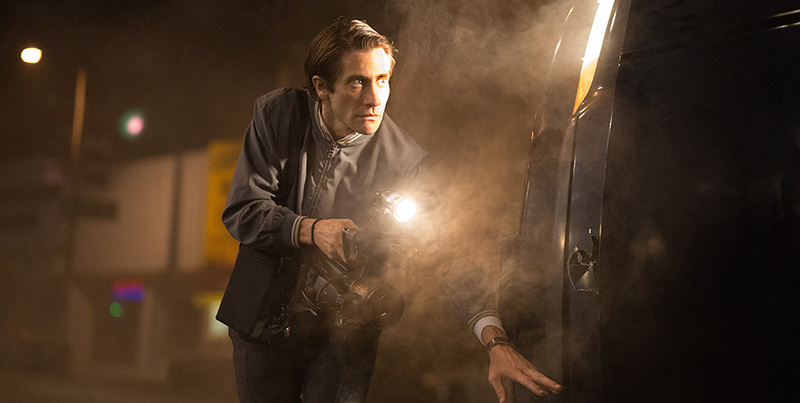 The film rises and dips far too often to ignore and the highs aren’t nearly impressive enough to discard the lows. 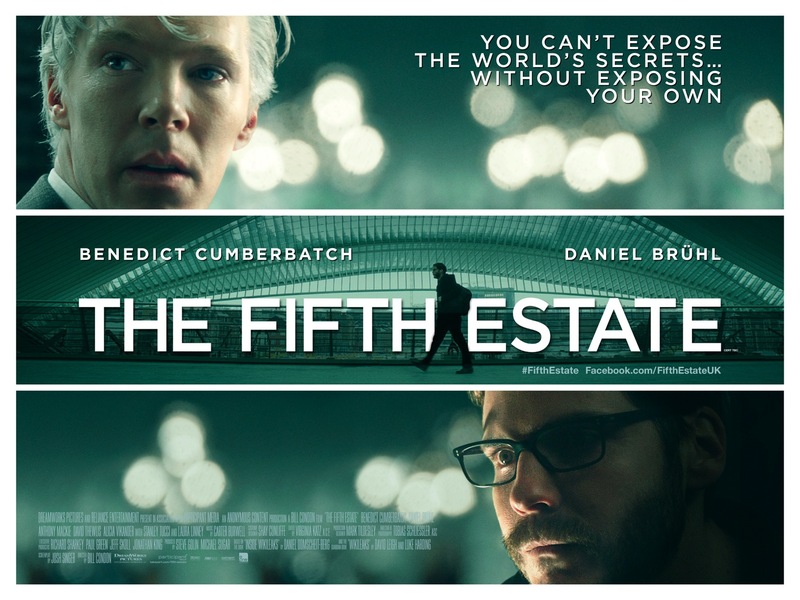 I’m sure that the “The Fifth Estate” appeared much more alluring on paper and it’s a pity that the structure and story didn’t translate to the big screen. Regardless, the source material remains as hypnotic, honest, and horrid as ever, toss in some terrific, astonishing performances and “The Fifth Estate” is strong enough to overcome its faults. Perhaps what ultimately led to the high-standard and unreal expectations of “The Fifth Estate,” aside from the trailer and Cumberbatch’s remarkable portrayal and resemblance to Julian Assange, is the astounding success of David Fincher’s “The Social Network.” The two films share more than a few similarities which can be easily spotted while watching the film. Additionally, the film is no where near as symbolic or deceptive. Everything is laid out, flat on the table. 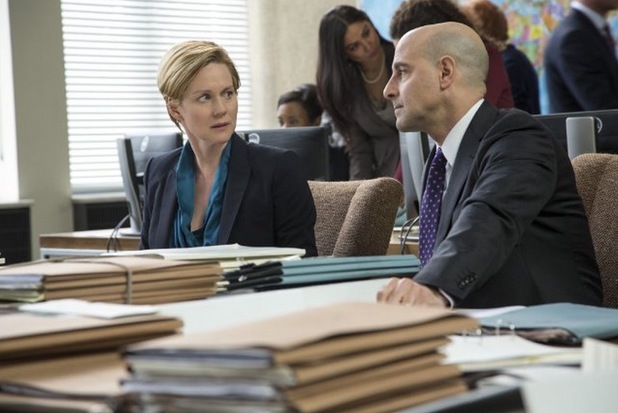 “The Fifth Estate” comes off a bit to modernized and contrived. As if Condon and crew modelled the film after Fincher’s Facebook masterpiece, with good reason. I mean, if you could capture some of “The Social Network’s” Oscar winning astuteness, why wouldn’t you? There’s nothing wrong with being inspired and influenced, but masquerading these mind-sets and commonalities with cheap ploys and abstract techniques didn’t pay off for Condon. Even though “The Fifth Estate” is stifled mightily by skeletal simplicity and seemingly forced direction. The film’s performances burst forth from the screen and are the only thing standing in the way of this flick from being thrown into an incinerator. The film stars the preposterously immaculate Benedict Cumberbatch, Daniel Bruhl, who is absolutely sky-rocketing to stardom, David Thewlis who continues to thrive despite being underused, and a plethora of high-profile supporting talent that features Laura Linney, Stanley Tucci, and Anthony Mackie. Off the top of my head, there is no one who impressed me more than Daniel Bruhl (I’ve simply come to expect perfection from Cumberbatch). 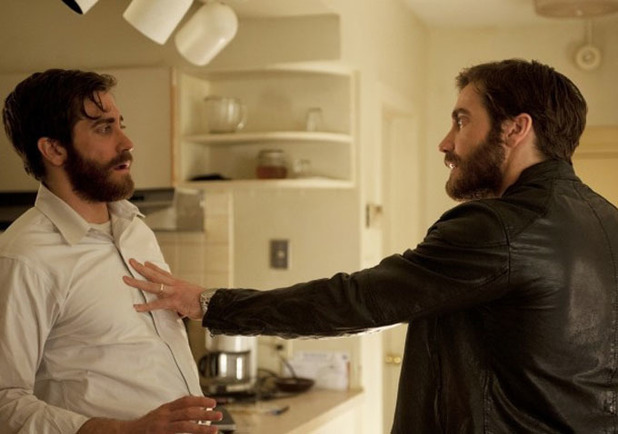 After launching his career into orbit with Quentin Tarantino’s “Inglorious Basterds,” it’s been nothing but full-throttle ahead for Bruhl, who has two films premiering at this year’s festival. Bruhl does everything in his power to upstage Cumberbatch and salvage this film from its free-fall. I don’t think I can issue much higher praise than declaring his performance just under that of Cumberbatch’s. Speaking of Benedict, his portrayal of Assange is nothing short of spectacular. His mannerisms, voice, hair, literally everything about Assange is captured perfectly. There’s really nothing else to say. 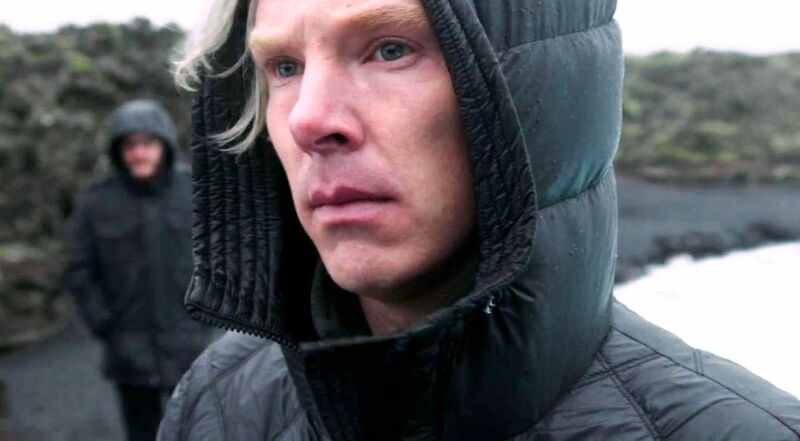 Cumberbatch’s performance alone is enough to make “The Fifth Estate” recommended viewing. 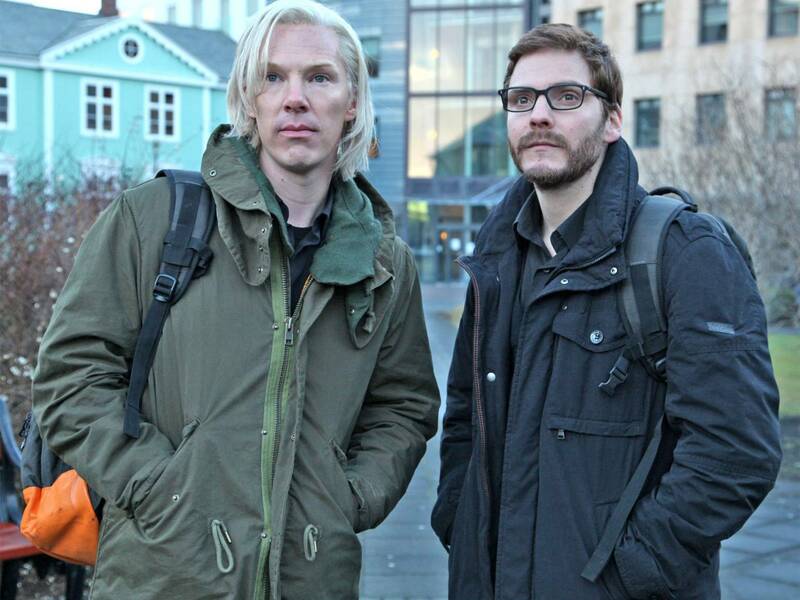 “The Fifth Estate” is fortunate enough to have its spellbinding cast come to the rescue. Other than its performances, which I highly insist you check out, and its source material, there isn’t anything here you haven’t been previously exposed to. This being said, do not take my rough dissection as hatred, I rather enjoyed this flick…even if I am a tad bias. The FIfth Estate: 7.5 out of 10.